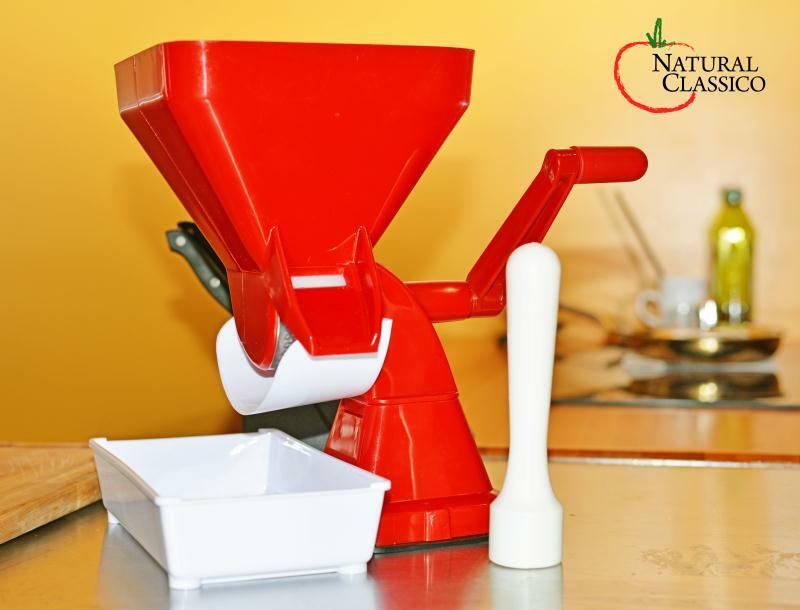 The Natural Classico manual tomato milling machine is a must for all home caners, tomato growers and cooks. Compared to all other manual tomato milling machines in this price range this is hands down the best quality and value. One of the key features is this tomato milling machine, is the paddle system used to press the tomatoes against the milling screen. This tomato milling machine is great for families that love cooking together. The paddle design is family safe design that limits the possibility of misuse. The durable construction and the sturdy suction cup base make this easy to use by anybody in the family. The sturdy construction will make sure that this tomato milling machine will last for tomato seasons to come. What makes Natural Classico right for you? Designed with simplicity in mind, the Natural Classico doesn't require nuts, bolts, screws or clamps. Assembly can be completed in minutes. Cleaning is equally quick and painless. Ideal for tomatoes but can also mill other products using the unique double screen process to get the maximum juice and meat from the fruit or vegetable being squeezed. Long-lasting stainless steel screen construction resists both wear and food odor. 1 year limited warranty included with your Natural Classico purchase, terms and conditions apply. Your Natural Classico is designed to produce the highest possible quality of crushed tomatoes. It's a difference you can see in the color of the meat and juice: darker, richer colors contain more of the pigments - and nutrients - you desire, while the extracted skin and seeds are pale in color. It's a difference you can also taste. Natural Classico crushed tomatoes will likely be richer, sweeter and more full bodied than any crushed tomato tasted before. We wouldn't have it any other way!